What was Emily Dickinson’s personality like? Biographers have tried to line that question out from the available evidence filled in with supposition; but then none of us present exactly the same face, the same sensibility to all people and at all times. And any of us who are writers may also know that what we write and how we live can differ, even if only in expression. This is partly why we have so many Emily Dickinsons, not just over time since her emergence on the page in 1890, but now in the present days, depending on reader’s framing. Today’s piece, “Tell All the Truth, but Tell it Slant” can be read as a playful and humorous observation, as a serious artistic credo, as a secret diary of non-conformity, or as a dark observation of human fearfulness. How many Emily Dickinsons had how many intents as she worked out this little poem? Her dark materials. 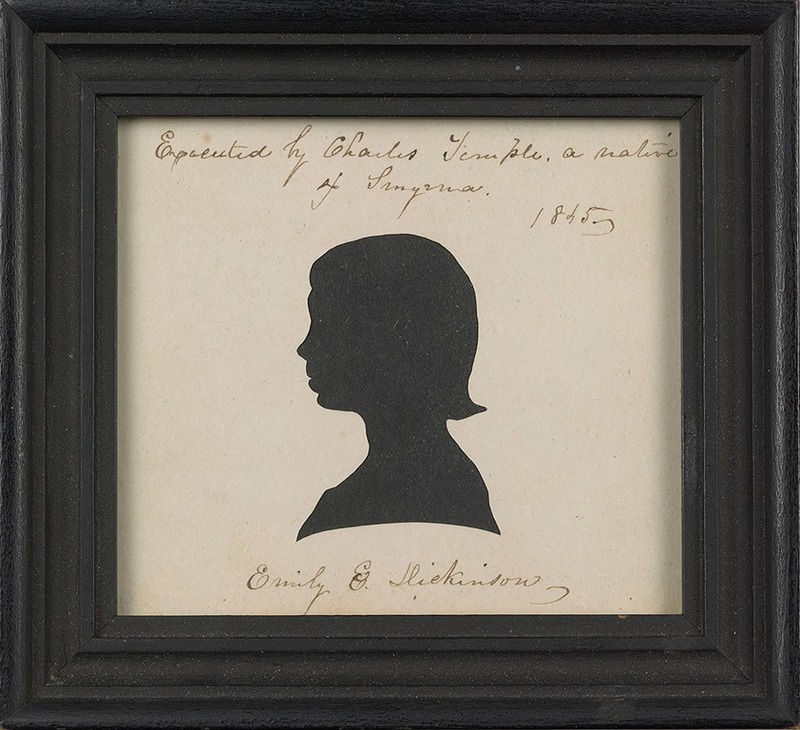 A silhouette of the teenaged Emily Dickinson. As I often do with Dickinson performances, I leaned a bit more to a serious mode of expression, which doesn’t preclude the thought that Dickinson would be internally chuckling. I tell myself I’m just trying to channel something I feel as I experience the poem, but I may be also trying to overcompensate for the Dickinson widely assessed in my youth as an eccentric dealer in homilies, a naïve artist without the depth of metaphysical thought that mid-20th Century High Modernism adored. It seemed then to have been an unspoken assumption that Emily suffered from “lady brain,” that imagined biologically-stunted inferior organ with sentiment where exploratory thought would be. Sure, her syntax and imagery had some originality, so we’ll allow her into the anthologies with the serious poets. My model of humanity is more androgynous than most, but let us allow female associated elements in her artistry, just as we should be sure that there are experiences from gender and class roles in her time and place. But let’s not overdetermine what she did, what she can still do, when we read, perform or listen to her poetry. As I said, “Tell All the Truth but Tell it Slant” can be read as a light-hearted jape. I even remembered the first line taken for the title on publication as “Tell the truth but tell it slant,” forgetting the “all.” Is that “all” there just for metrical reasons? Because, if that “all” is meant, it changes things doesn’t it. It goes from a reading of “Well, it’s not polite or advisable to go around spouting the whole truth at every occasion” to a more general statement, that the truth is never told directly. And then the second line and its “lies”—surely one of the most punned-on words in English. It that just an easy rhyme? The next line, “Too bright for our infirm Delight” could have been in a William Blake poem. The second stanza* starts with some inverted order poetic diction, but it may be forgiven, as we finally get to a physical image: lightning and frightened children. Dickinson appears to be siding with the filters, the myths, the accepted consolations of fibs and filigree we buffer the truth with. And perhaps she is. 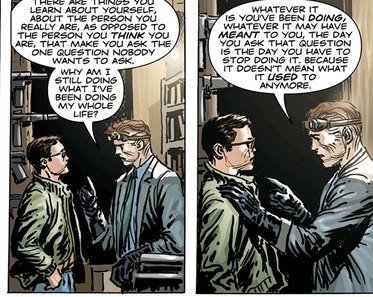 It may come down to how much or how often Dickinson, or you yourself, look away from the truth, how often the wisdom of your fears can help you survive. In the end in this performance, I thought it might be key to consider who is charged with—or to—“Tell all the truth but tell it slant.” Is it society, or those who speechify to us as if we’re frightened children, who slant the truth? Or is it us, who should tell all the truth, even if we need to put it indirectly so that our audience can discover it, as the world gradually discovered further Emily Dickinsons, for ourselves, in our own time? Musically, I return to my weird folk-rock sound and I choose to make Dickinson’s first line into a refrain to stress its ambiguity and centralness to the poem. Hear it with the player below. *One joy of the poem comes in the end of this stanza’s third line: “dazzle gradually” where the meter and consonance of the chiming d and l sounds enchants.